What are the Best Low Carb Protein Bars to Buy? 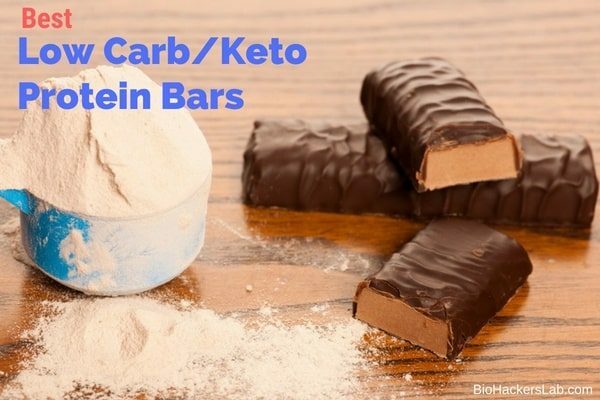 I went out looking for what are some of the highest rated & most recommended low carb (keto friendly) protein bar products and brands that are available, which can help manage your macros on a keto diet. The all-natural meat bars by Epic is made from grass-fed venison and range free deer. Blended with sea salt and pepper for a delicious flavor that satisfies. 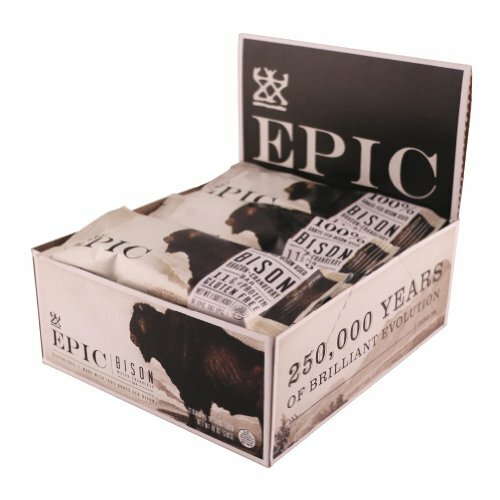 The epic bar range creatively creates different meat into a flavor-filled meat protein bars that are sure to give you the boost of energy you are looking for. The protein bar is an excellent source of omega 3s, vitamin B12, vitamin E, and many helpful antioxidants. This product is gluten-free, paleo friendly, and has absolutely no sugar added. The texture is a bit rough and unexpected for some. Higher sodium than other brands. The protein bars by Onnit are the perfect solution no matter what your diet strategy is. These bars are packed with high protein and fiber, low sugar, and an ample amount of beneficial fats. These protein bars are designed to help individuals with weight management or to build strong muscles. The high protein and low sugar combination make these bars an excellent option for any time of the day. You can consume them as a quick snack to avoid blood sugar swings or eat them after workouts to deliver nutrients to your muscles to help you recover quicker. High amount of protein in every bar. Convenient product and easy to consume. Can only buy from Onnit protein bars from the official website. Bulletproof protein bars are made with collagen protein from grass-fed cows. These delicately processed ingredients have all the amino acids you need, with a burst of nutrients preserved from the low-cooked boiling process. 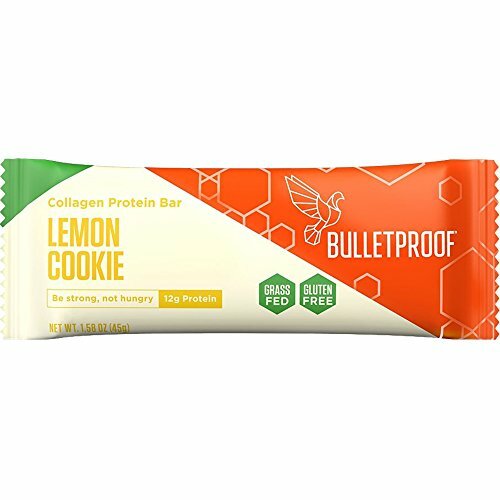 These collagen protein bars come in three flavor options — lemon cookie, vanilla shortbread, or mint chocolate chip so you can easily find the one you like best for on-the-go fueling. Bulletproof collagen protein bars are keto-friendly and contain quality fats that keep you feeling fuller and focused longer. 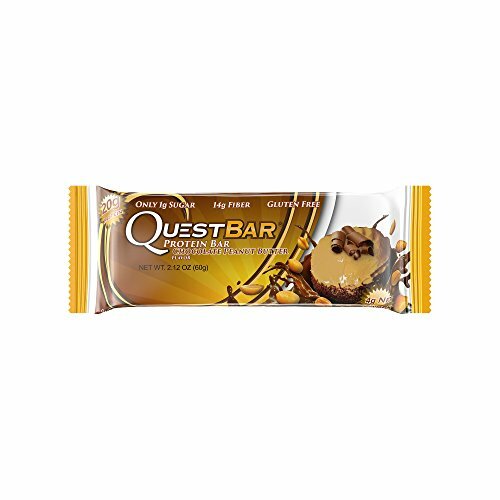 Uniquely, this protein bar contains brain octane oil that provides an excellent dose of quality fats for increased energy and fat burning. How to take this product: between meals or as meal replacements. The bars crumble, not stick together, so they can be a bit messy on-the-go. 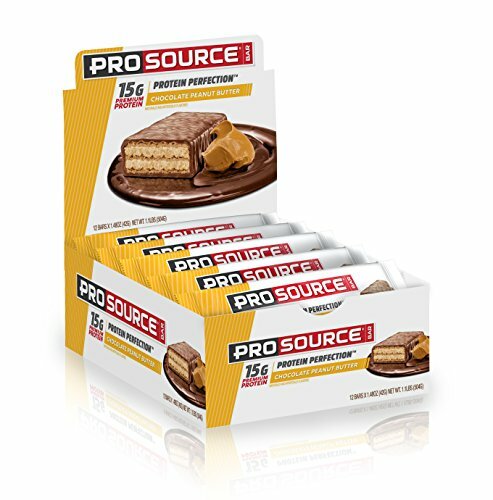 ProSource protein bars are an excellent option for individuals looking for on-the-go energy or a protein bar after working out. These delicious bars come in chocolate peanut butter, french toast cream, or double chocolate flavors and leave no lingering aftertaste that other bars do. This product is powered by hydrolyzed whey isolate and they are creamy and crunchy. These bars contain no gelatin or soy, no artificial fillers, and no sugar alcohol. Prosource uses some of the highest quality bioavailable proteins imaginable through their powerful blend of milk and whey proteins. 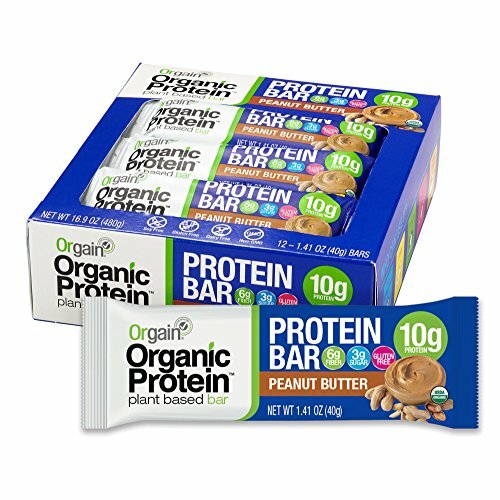 The protein bars from Orgain are non-GMO and made with all natural ingredients. These products are soy and gluten free and do not have any artificial flavors, colors, or preservatives. Most ingredients in the bar are certified organic and 100-percent vegan. Orgain protein bars come in four fantastic flavors that provide clean and delicious nourishment whenever you need it. Compared to other bars, these offer clean protein that is safe and effective for weight management. Whether you are looking for a quick snack to hold you over until your next meal, desire on-the-go energy, or you are looking for a post-workout protein bar that is effective, Orgain is definitely the right choice. Some consumers feel these bars are too sweet. When it comes to protein bars, Quest Nutrition offers something for everyone. With twenty-two different flavors to choose from, you are sure to find one that satisfies. Each bar blends fantastic ingredients while offering 21g of protein, 14g of fiber, and less than 1g of sugar in every bar. Each Quest Nutrition protein bar is packed with quality ingredients that are scientifically beneficial and metabolically sound. The flavor is so rich and satisfying that it is hard to believe how healthy it is. 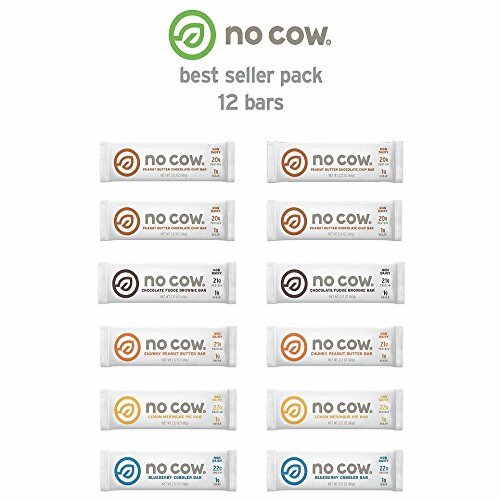 The No Cow protein bars are an excellent option for diet enthusiasts. These flavor-filled bars are vegan and contain no dairy products. Additionally, there is no added soy or sugar and the bars contain no GMO ingredients. Consumers are able to choose a mixed flavor bundle or select to purchase 12 bars in their favorite No Cow flavor. Each bar contains less than 1g of sugar and, uniquely, all of the antioxidants and protein are plant-based. These protein bars are loaded with vitamins and minerals that help support optimal health and energy levels. I know you were looking for what are the best options, but here is some more detail as to why we might need protein bar products to help us eat enough protein when on the go. When to Eat Protein Bars? The time you eat your protein bar depends on what you want to use it for. Some individuals eat protein bars in the morning as a meal replacement for breakfast. This allows people to eat a healthy breakfast on-the-go so they do not skip the meal entirely. Eating protein bars as a snack between meals is another great option. Rather than snack on unhealthy items, like cookies, cakes, and chips, have a protein bar. These bars will help curb your appetite until your next meal. Protein bars are also an excellent choice for a meal replacement. Instead of dining on lower-calorie alternatives, like shakes, protein bars are a highly convenient alternative. These bars are high in protein and healthy fats and they provide an exceptional amount of nutrients to help with weight loss. Before or after exercise are two exceptional times to consume protein bars as well. When consumed 1-2 hours before exercise, protein bars help boost energy so you can work longer and harder. When taken after, protein bars help repair muscles worked during exercise so you can recover faster. How Many Protein Bars Can I Eat a Day? There are six key factors that you should consider above all when choosing protein bars to incorporate into your daily routine. Total Calories: if you are trying to lose weight, protein bars can take up a large portion of your daily calorie schedule. This would generally be used for meal replacements instead of consumed as a snack. If you are trying to gain weight, however, this is an excellent choice to include between meals or post-workout. Total Carbohydrates: When consumed after workouts, protein bars are great for replenishing worked muscles. For individuals trying to lose fat, consuming high carbohydrates is not ideal. The Presence of Sugar Alcohols: some individuals have issues consuming these, so it is best to find bars that do not have them. Ingredient Panel Listings: review calories and carbohydrates prior to purchasing to ensure the amount in each bar falls in line with your dietary goals. Review Carb to Protein Ratio: the best scenario for fat-loss is a protein bar with 2:1 ratio of proteins to carbs. 2.1 When to Eat Protein Bars? 2.2 How Many Protein Bars Can I Eat a Day? 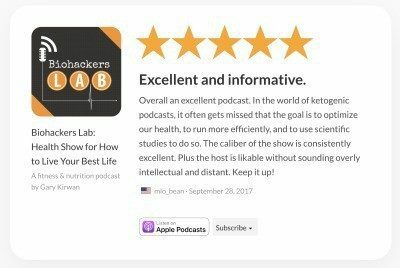 2.3 Are Protein Bars Good for You?